You are invited to participate in this nationwide event on December 16 starting 12:00 PM at Forest Meadows Cemetery East. Members from our veteran community have raised enough funds to purchase over 800 wreaths to place on veterans graves during the planned Wreaths Across America Ceremony. 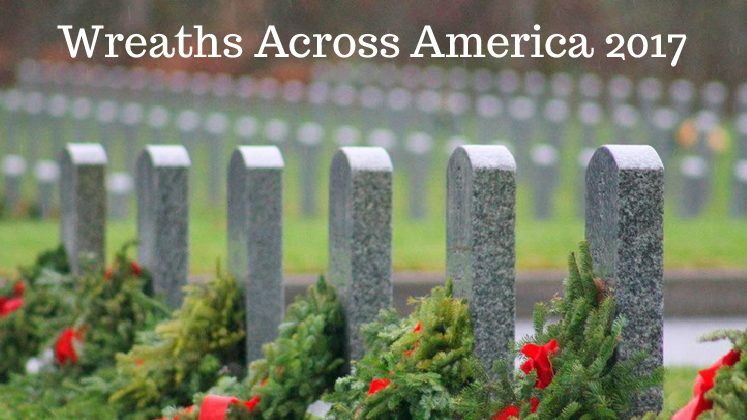 Everyone will be given patriotic wreath to place on a Veteran’s gravesite of their choosing. After that has been accomplished taps will be played followed by a 21 gun rifle salute. Additional wreaths will be on hand if you would like to place them on a Veteran’s grave in a different cemetery. Our friends from Wal-Mart will then provide lunch and other refreshments.